While tomorrow marks the official release of the remastered version of Blu and Exile's joint project Give Me My Flowers While I Can Still Smell Them, attention has already begun to turn to the Cali emcee's next project Good To Be Home. Though known by many as an enigmatic media recluse, Blu has been anything but tight-lipped about his upcoming LP Good To Be Home which is set to be produced entirely by fairly obscure yet Blu-approved producer Bombay. Over the weekend listeners were treated to the first offering from the LP with the release of "Rap Dope". The three and a half-minute track boasts Blu's signature straightforward flow over a tempered, lo-fi tinged beatscape provided by Bombay. 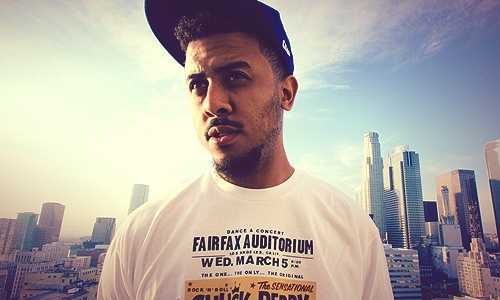 Be on the look out for much more from Blu who has several projects reportedly in the works including his next solo LP Good To Be Home (due out later this year), a full-length RælBlz project titled, GRO which will feature production from Blu under the moniker GODleeBarnes and a rumored forthcoming collaborative project with super-producer The Alchemist.